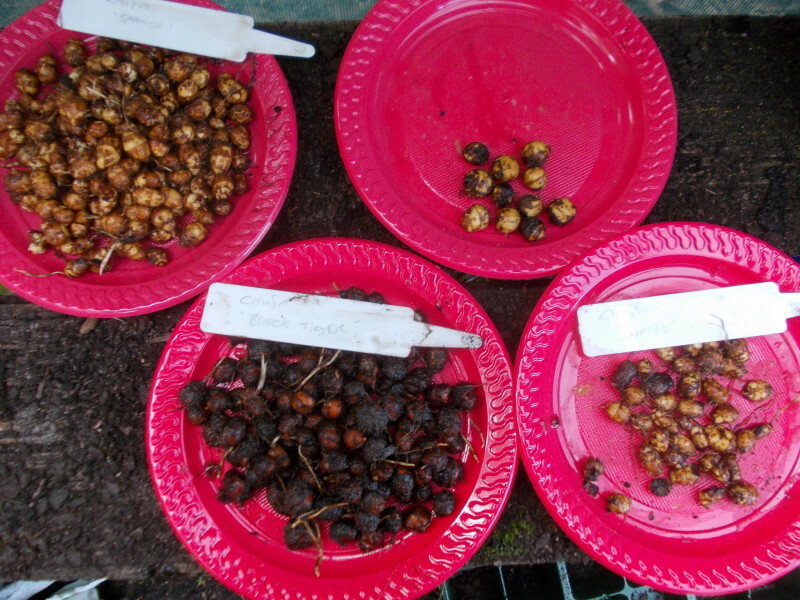 This blog is all about my little seed farm in Victoria, Australia. 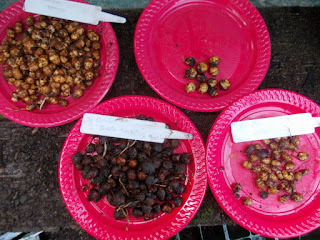 Follow my progress as I grow and sell rare, unusual and heritage vegetable seed for local seed companies. 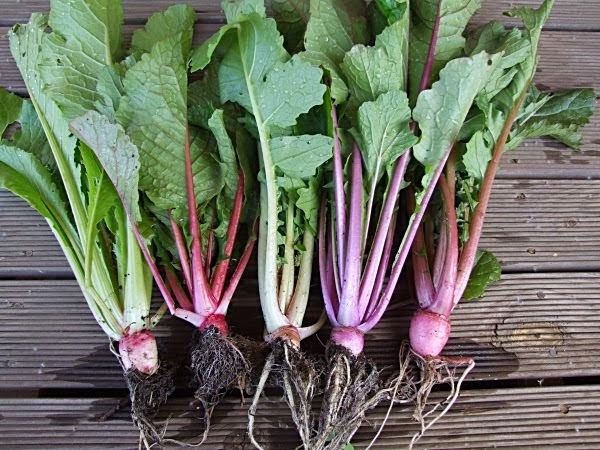 I have nearly ten acres now of urban farm, using empty house blocks as well as a small rural block. Check in often to see what I am up to. 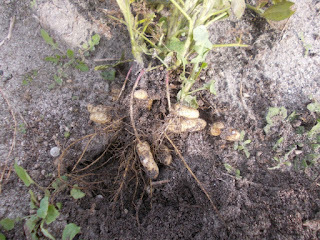 It was a lovely day today so I went out and pulled up the last of my TPS diploid potatoes and chufa varieties. We have a had a few frosts now so things are dying down and ready to harvest. The oca won't be long. The great thing about growing potatoes from true seed is that when you have seed from a range of coloured varieties you never know what you are going to get and just about every plant has different tubers. I was disappointed to find that I only ended up with one that had red coloured flesh and three that had coloured rings or splashes through the flesh, but what I did dig had a range of white, cream and yellow flesh. 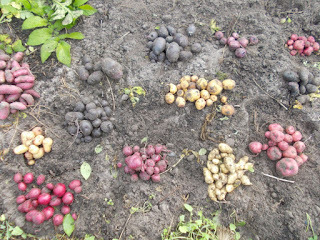 They also had a range of tuber sizes and shapes though those in this pic are all small because the plants are the latest and smallest. 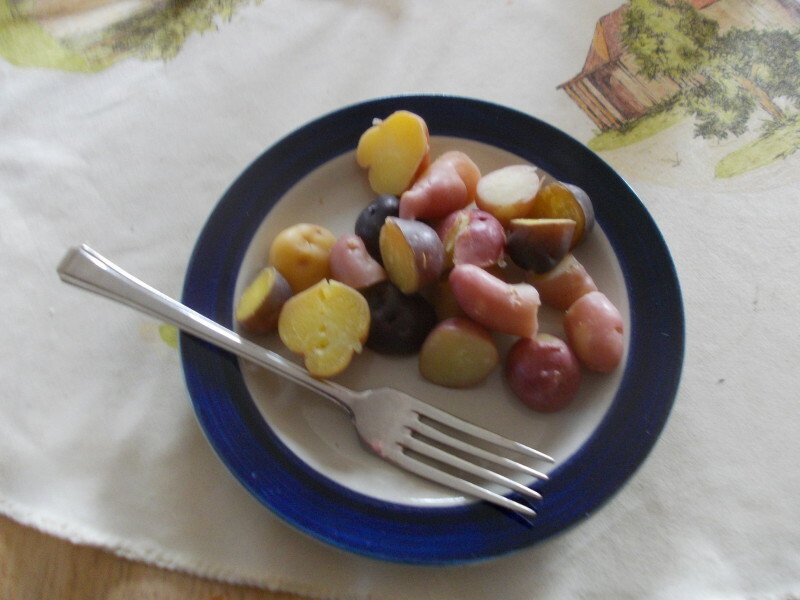 I grabbed some of the small tubers and boiled them to eat while I worked at the computer. Although I like the yellow fleshed waxy ones my taste buds are not sensitive enough to find much of a difference in taste. They were good anyway. 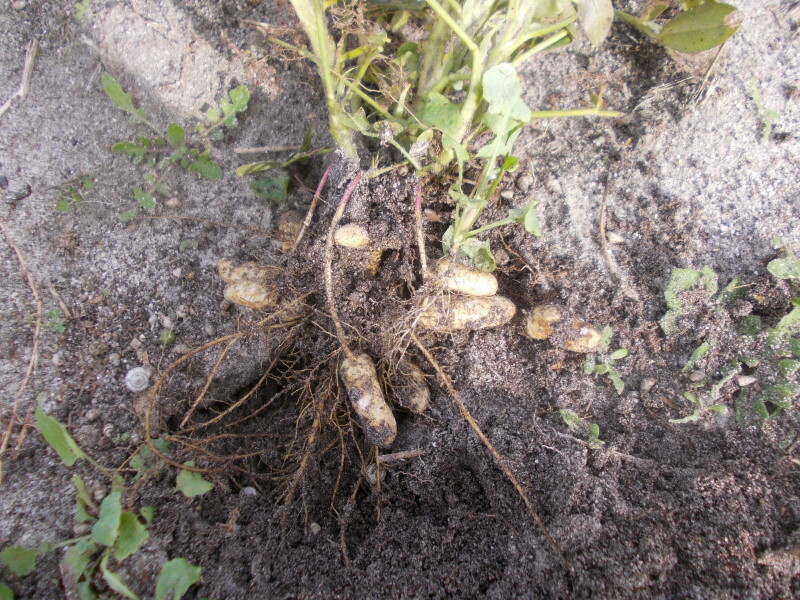 I told you that the rabbits kept eating my peanut plants so I thought I would not get any nuts off them, well, I pulled up a couple of plants and found that I will get enough nuts to plant again next year. What do you call a peanut? Well, she will understand a bit more about jokes when she gets older, lol. I pulled up my 4 varieties of chufa today. I put a few on plates to show you what they look like. As far as taste is concerned, Spanish was the sweetest, Jumbo the best tasting with a good almond flavour, and the other two were fine but milder. I live in Victoria, Australia. I used to travel with my pack donkeys and live in the Australian bush but now that I am settled in a small town I am working for myself growing unusual fruits and vegetables. I have started a small market garden to sell fresh heirloom fruit and veg at the local markets.